18-Sep-14 The provincial government of Sichuan is constructing 10 new hospitals with an integrated telemedicine system that aims to promote resource sharing between hospitals. This is part of an initiative from the central government announced in August, requiring local government to include telemedicine services in their planning and to provide capital support. 18-Sep-14 Indonesia’s Health Minister Nafsiah Mboi has highlighted three priorities for the country’s healthcare system: Equitable access to health services for people in rural and remote island areas; improved access to primary health care; and an improved referral system. 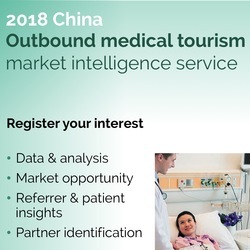 15-Sep-14 In Thailand, private hospitals have become a platform for change, attracting increasing numbers of foreign patients, with medical tourists from China becoming a major focus.